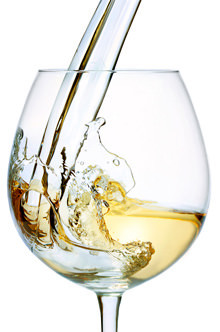 The US retailer wine.com lists it as 13.7%, conveniently avoiding the higher tax band there. Or am I being a cynic? I skipped the ‘15 Barolo EP offer with the intention of focusing on other more accessible (price and drinking dates) Piedmont wines. 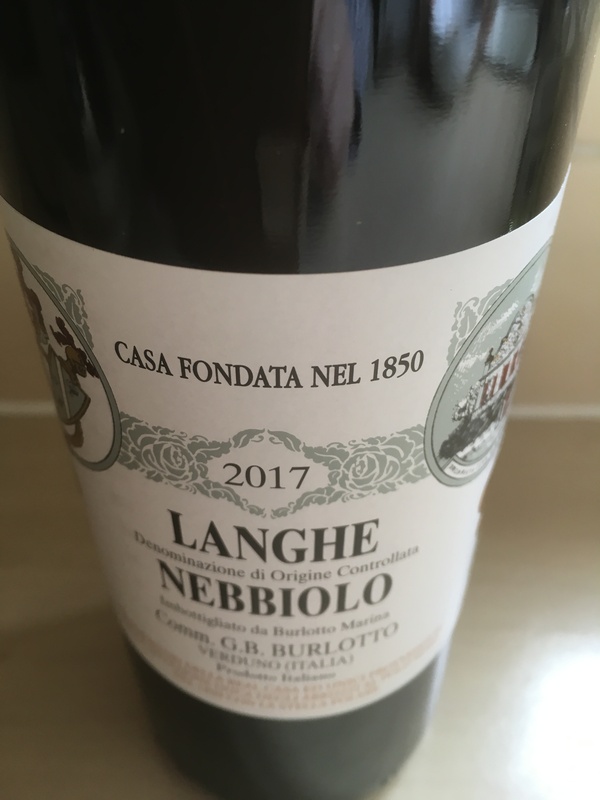 Delighted that the first fruits of that strategy arrived today - a dozen bottles of Burlotto Langhe Nebbiolo ‘17. Perhaps not quite the qudos of the Monvigliero Barolo being talked about in another thread but apparently from the young vines in the same vineyard. Seems a relative bargain at well under £20 a bottle and approachable so much sooner. The icing on the cake was this getting a great write up in May’s Decanter (which I only saw after ordering) and a 93 point rating. I wonder how far behind some of the 15 Barolos that will be? Susan Hulme’s comment being “Better than many pricier Barolos”. The same article also gives the Massolino Langhe Nebbiolo ‘15 a 92 rating. TWS listed as a stockist but it is not showing on the website - I only hope it shows up in due course. Willi Bründlmayer’s stellar reputation is well founded. 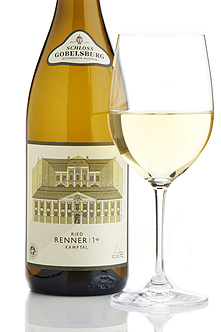 The sheltered south-facing Loiserberg vineyard gives a ripe and appealing style here, offering an excellent introduction to the kind of quality that can be found in Austria's top vineyards. Excuse the overused pun but I’m feelin’ groovy already. 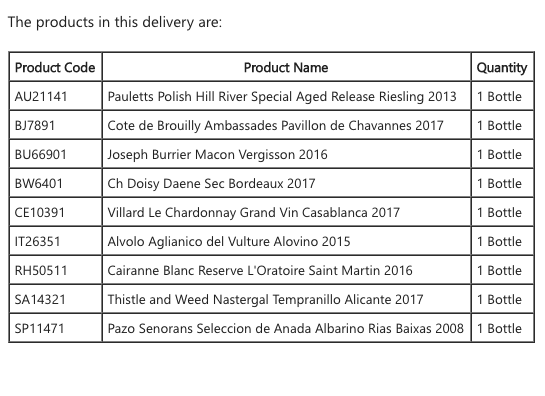 This tasty looking list should arrive promptly tomorrow morning… Some interesting looking (and hopefully delicious tasting) wines from the Fine Wine list mostly. Each and every one sounds well worth trying. Happy Thursday! That Pauletts Riesling looks intriguing. Brolio was actually sold out, so it’s the Exhibition Chianti Classico instead. Interesting to see the variety in everyone’s basket - note to self to get out of my comfort zone a bit more. I just bought my first ever EP bottles. Felt like a twit asking to be talked through it, but TWS were great about it. Senejac which i’ve tasted recently and is a bit of a steal for the price and some Larcis Ducasse which I’m very much looking forward to drinking in a few years. The Red Van of Joy has been, my basket has been delivered. On time and with the usual courtesy from the TWS driver. The Alvolo is a long-term fave. Best if left a good few years, of course (up to 20 in my book). I had a 2010 Alvolo from one of the vintage cellar plans the other night. Drinking very nicely now after a good decant. No doubt it could be left a few more years though. I had a 2010 Alvolo from one of the vintage cellar plans the other night. Drinking very nicely now after a good decant. Good to hear that it carried its age well - thanks! First tasting from my recently delivered basket has had to be postponed. I had such a large “lunch” on Friday that today is the first day I’ve been able to even look at the Community website, tomorrow I shall open the delivered box and Wednesday I hope to ready for a little taste. 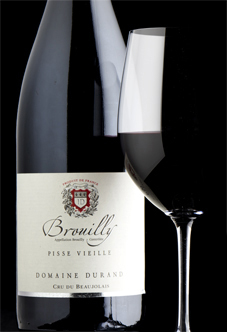 An ample, round and full-flavoured Beaujolais with ripe fruit and soft tannins. A charming wine, despite its somewhat less-than-charming name! with some warm buttery asparagus. 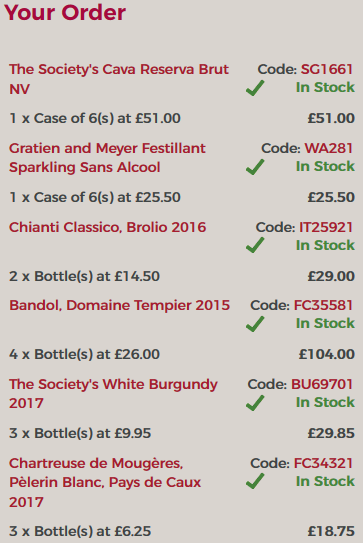 The Côte de Brouilly Cuvée des Ambassades is in my next basket, I’ll see how I get on with those I have and modify my basket accordingly. This poised and precise pinot noir is a classic example of the quality and the style that cool coastal Tasmanian vineyards can produce. With vines now reaching maturity, this wine has a complex perfume, with crunchy tannins supporting tart cherry notes on the palate and a bright refreshing finish. Claudio Radenti makes exceptionally good chardonnays from his enviable holdings of old vines in Tasmania. 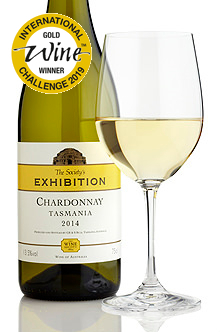 With a touch of fine French oak on the lemon-and-apple scented nose, this is a full-flavoured but truly modern - and very fine - Australian chardonnay. Made exclusively for us by Claudio Radenti of Freycinet, this has the wonderful elegance that typifies Tasmania's best chardonnays. 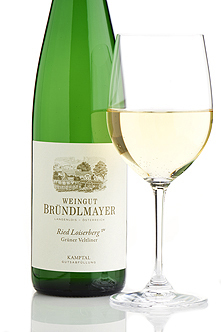 Its juicy lemon and citrus flavours are refreshing and well balanced. A nicely textured mouthfeel and chalky mineral notes develop on the finish. Serious chardonnay. 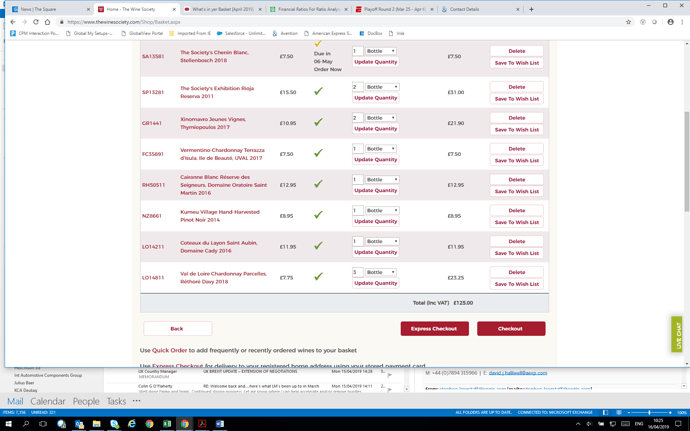 Having visited Freycinet Vineyard over the past few years and buying mainly their top Pinot Noir and Sauvignon Blanc, it’s great to be able to buy their wine in the UK. With this order we can even manage to compare their top Chardonnay and the Wine Society Chardonnay. On questioning them this year I understand the Society wine has it’s own little block of Chardonnay from the Freycinet part of the vineyard rather than the Louis site a km away. So fingers crossed for a really good comparison. It’s nice to have a taste of East Coast Tassie from one of the greats of the Tassie Wine scene. As always, a few bottles of Les Parcelles as our house white. 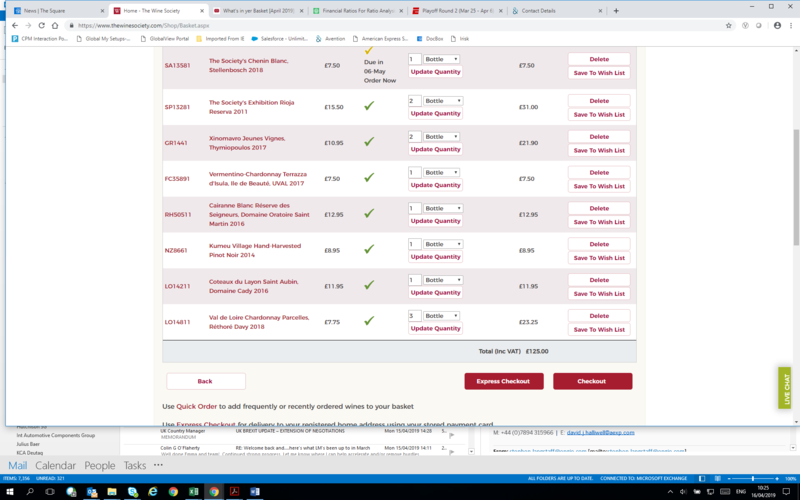 I’ve plundered the clearance list for a few things I haven’t had before, and couldn’t resist a couple of bottles of the Exhibition Rioja and the Xinomavro, which both blew me away recently. I’ll probably replace the Society Chenin with Les Plantagenets instead, as it’s out of stock. Apart from Ridge and Joseph Swan, which is clearly (to steal a native expression ) a whole different ball game, I have yet to discover a single Cali Zin that is worth the (usually considerable) premium over its Puglian incarnation. Would be interested in anything that is under £20 and interesting. There are (obviously) a number of candidates in Puglia. I continue to doubt such a beast exists in California. Tried the Shebang and Brazin from TWS, but really these are at the level of a (well-chosen) 5 euro Primitivo! As you said Zinfanfandel… Just received a mailing of a Zin led California blend at a friendly looking price. This spicy, sweetly cherry-nosed red is a homage to the field blends of many of the old vineyards in Sonoma and Mendocino counties of California. 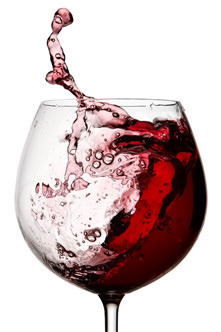 Predominantly zinfandel it is a combination of varieties and vintages. 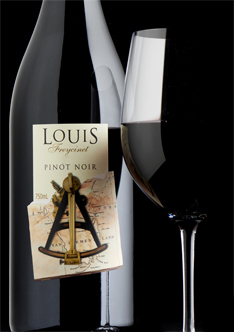 Full-bodied and complex but with a fresh tart blackcurrant finish. I have not had it ever, but might take a punt at the intro price. 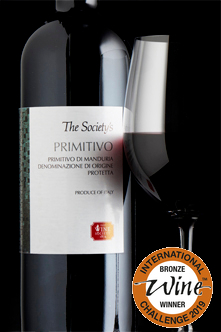 This is made for us by a master of the primitivo (aka zinfandel) grape, Gregory Perucci, using bush vines in the grape’s Italian heartland near Manduria in the Salento peninsula of Puglia. A deep-flavoured, brooding and velvety wine mellowed with careful oak ageing.